Anemone is a member of the ranunculaceae family, or as most of us know it: the buttercup family. It's also sometimes called by the names Windflower, Pasque Flower, Thimbleweed or Easter Flower. There are approximately 120 species in the anemone family, which are divided into three separate categories based upon their different patterns of growth. Among those are the varieties which flower in the spring and come from rhizomes or tubers; those which blossom in the spring and summer, which are tuberous and identified as Mediterranean; the larger fall flowering types, which bloom from early summer to late fall, and, for the most part, have fibrous roots. Along with an occasional yellow, the anemone will also come in colors of purple, white, red, green, pink and blue. Their leaves can have the appearance of a maple tree leaf. Anemone grow best in USDA zones 6 through 9. The majority of gardeners grow anemone for its beautiful blooms, but in reality it's officially classified as a medicinal herb. Anemone is used in numerous treatments, including menstrual cramps, rashes, swelling, tuberculosis and eye treatments, among numerous others. Interestingly, the anemone is a poisonous plant in spite of its numerous health benefits. The giving and receiving of a gift of an anemone could represent a number of things for the highly symbolic flower, as they could mean anything from reaffirming your endless love for someone to giving them to someone launching into a new stage of their life. This comes from the meanings associated with the flower of a love that will never die, anticipation, protection against evil and good luck. An interesting story about the anemone, which has given it the name 'windflower,' comes from the death of Adonis when he was killed by a boar. When the love of his life Aphrodite heard Adonis cry out, she hurried to the sound of his voice to see the white color of the surrounding anemones turn deep red as he died. She named them windflower in response to that, referring to the short life of her lover, which as a mist blew away just like the wind will blow away the faded flower petals of an anemone. 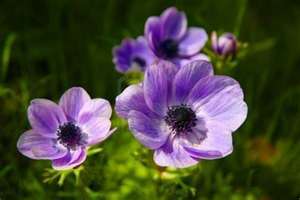 There are a diversity of opinions as to where the best place to plant anemones are in relationship to the sun, with some claiming shade and partial shade is best, while others believe partial shade to full sun is best. I think the disparity here is probably based on the conditions the gardeners had to grow them in. The majority of gardeners believe full sun to partial sun is the best, and I think they're correct. The point is anemones can grow in a wide variety of soils under diverse conditions, and will adapt well to wherever you have to plant them. This is the same with soils. Other than clay soil, they will do well in almost any other type, although, like with any plant, the better the soil usually the better the results, although some claim they do better in soils that are poorer in quality than garden soil. Be sure there is ample drainage in the soil you place your anemones, as they like it damp but not soaking wet. Although you can grow anemone from seed, the majority of gardeners choose to propagate the plant by separating the rhizome or tubers. Whether seeds or tubers though, soak them in water the night before you plan to sow them. The rhizomes can be planted from around 1" to 2" deep, and approximately 2" to 4" apart. Gently press down on them after you plant them to get rid of the air bubbles. Also immediately water to settle the soil. Tubers can be planted from about 3" to 4" deep, and around 6" apart. Because of the aggressive nature of the plant, you can plant at 6" intervals with no problem, as they'll fill in as you want them to over time. If unsure about which way to place tubers, just lay them on their sides in the ground and they should do okay. Anemones can be planted in either the fall or the spring. The exception is in northern areas where it is above the suggested zones. In those instances they should be planted in the spring. Having said that, the majority of anemones should be planted in the fall. Check the directions for the specific species you're planting. If you are going to plant a tuberous anemone, the tubers should be separated in the summer months. The reason is it's better to separate tubers when the plant is dormant. For anemones which are rhizomatous, separate the rhizomes in spring. Anemones with fibrous roots can be divided in the spring or the fall, but should be kept in a container for about a year until it establishes itself. The goal for your first season of growing anemone is to help them grow a solid root system; one which is deep and spreads out. That is helped by watering on a regular basis during the first season. A general fertilizer can be applied monthly for peak results, although they do well under most conditions. 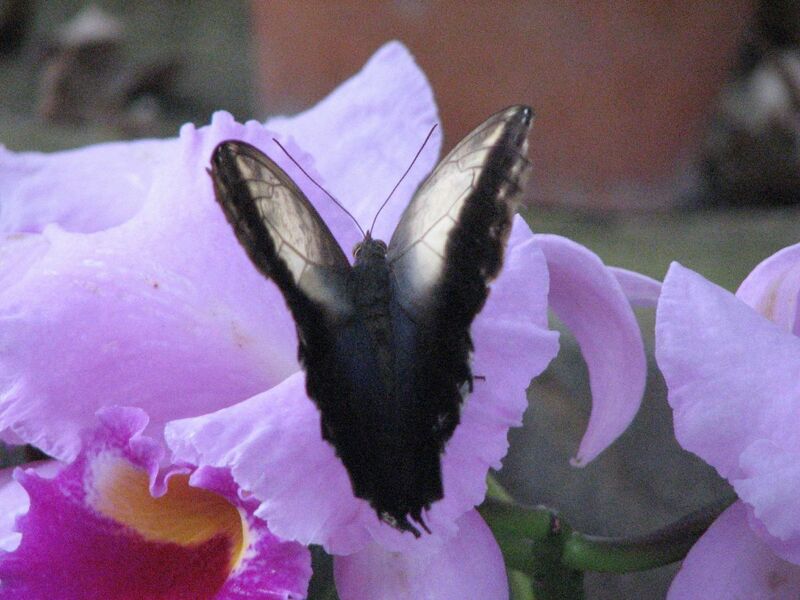 To generate more blooms deadhead the flowers when they die off. Anemones can be divided every two to three years in the spring. They can be prolific so you may want to think of someone that may want them you can share them with, as they can spread fairly quickly if they aren't managed. The plants can be cut back in the latter part of the fall all the way to the ground. Come spring they'll be quickly pushing up out of the ground. Once your anemones are established you can dig them up and divide them to increase the number you have if you choose. Anemones will expand on their own because of the extensive root system that accompanies them, and so you may also want to divide them to clear out a thick area and replant them elsewhere. For whatever reason, all you have to do is dig up and divide a clump of anemones, taking about a foot from the outer part of the grouping. Just be sure that each group has a good set of roots with them when replanting them. Depending on the specific anemone, they can grow up to 3' tall, which allows for a variety of placement choices in the garden if you have several types. 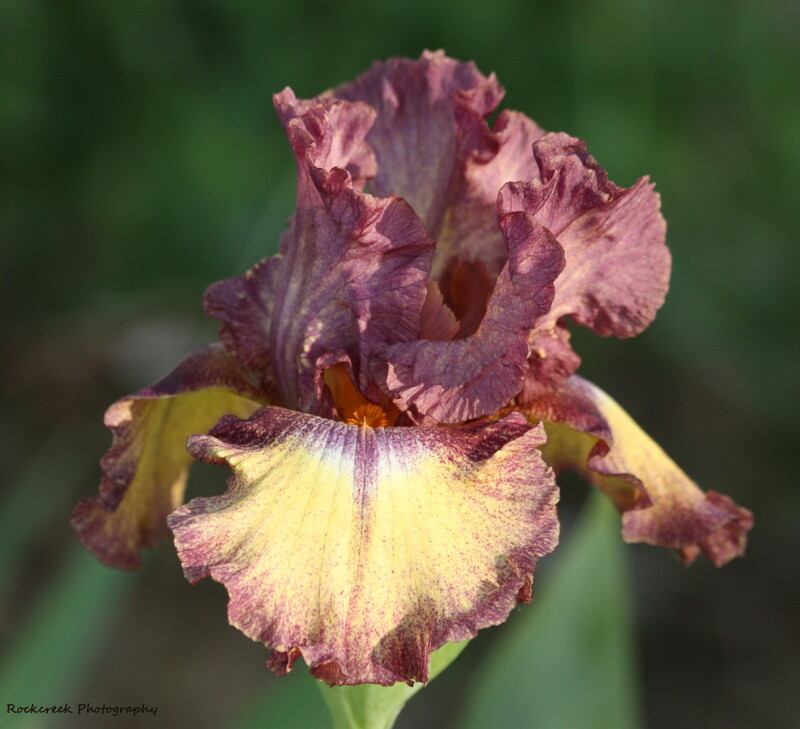 It also offers opportunities to plant different varieties with staggered blooming seasons to provide color throughout the summer and fall months. They are great for rock gardens or flower beds with a variety of petal choices as well, as they've been cultivated to produce many different looks. Anemones are also a terrific choice for dried flowers, giving long-term color to the home, or can be grown in containers. The wide variety of petals, color, heights and blooming times make the anemone one of the more compelling and useful garden flowers we have to brighten up our gardens and homes. I've got some Japanese anemones in the garden, which are situated in full sun and doing well. Many great tips. I will have to keep these in mind. How nice to learn that these make great dried flowers. 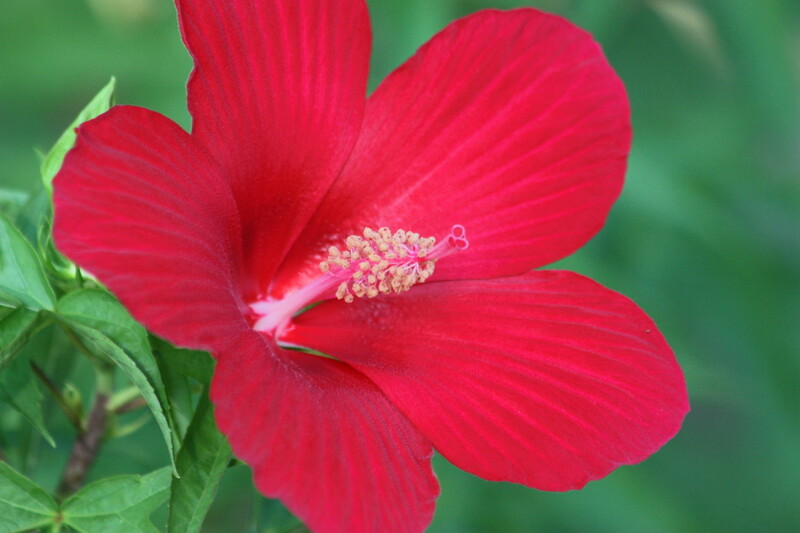 A beautiful plant and flower that you've highlighted for us--thanks! I love the Honorine Jobert from the video.